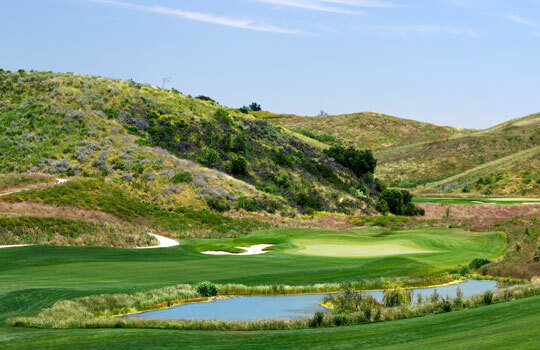 Moorpark Country Club is a Peter Jacobsen masterpiece! 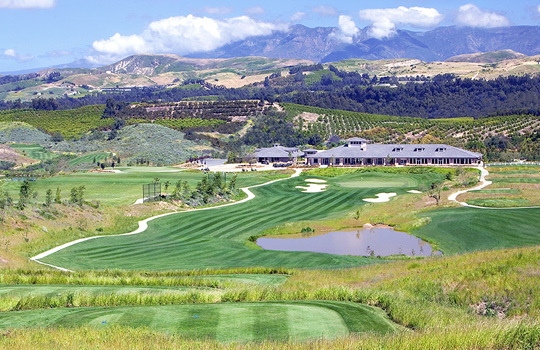 Designed for memorable golf moments and scenic beauty it is recognized as offering one of the most pleasing course layouts in America. 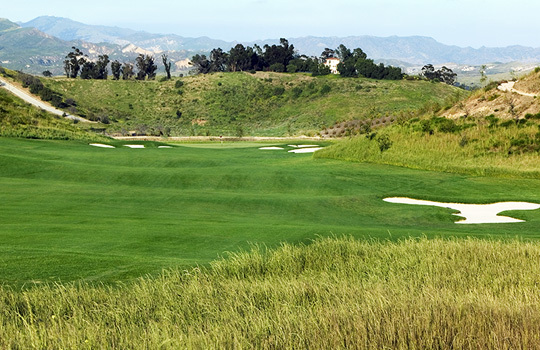 Moorpark Country Club has installed “Parview Global Positioning System’s” (GPS) on all golf carts! 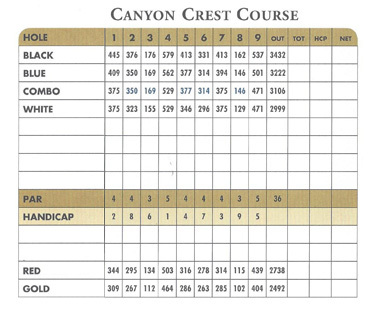 As the first and only golf course in Ventura County and Northern Los Angeles County to utilize this technology, golf players will enjoy this added benefit. On this long par 4 slight dogleg left trouble lurks on the right. 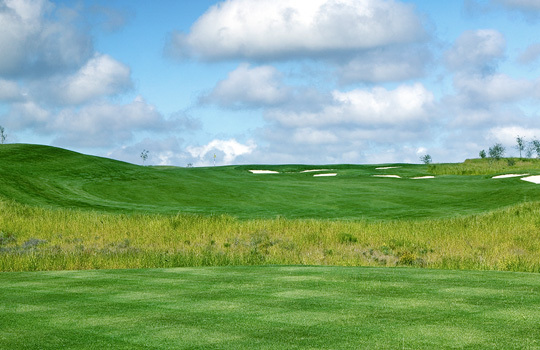 The fairway is generous, but if your tee shot is wayward right it will find the water hazard. Once you put your tee shot in the fairway you are not done with the trouble. A water hazard runs down the right side all the way to the green. It is a must to favor the middle to left side of the green on your approach shot. This hole is very deceiving. 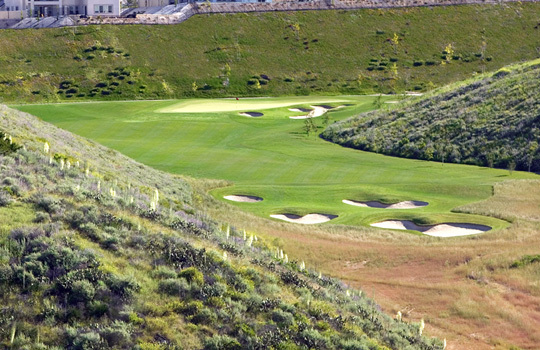 On your tee shot you are forced to carry three bunkers of 180 yards, but it looks a lot more. If you can trust the yardage and hit your tee shot in the fairway you will be left with a short iron approach shot to a narrow green that is slightly elevated. This beautiful par 3 is slightly down hill and guarded by two bunkers. From the teeing area it looks as if the green falls off the face of the earth. The key here is to aim at the middle of the green and accept par and move on. This long and slightly downhill par five is going to be challenge for all golfers. Your tee shot must favor the left side of the fairway, because there is a bunker that protects the right side. If you find this bunker you will be penalized. Long hitters can go for it, but for short hitters this lay up shot is not routine. There are bunkers positioned on the left and right side of the fairway directly in the landing area. Once you have positioned your second shot your approach is to a two-tiered green that runs away from you. It is essential that your approach shot lands on the same tier as the flag. This undulated green will test the best putters. 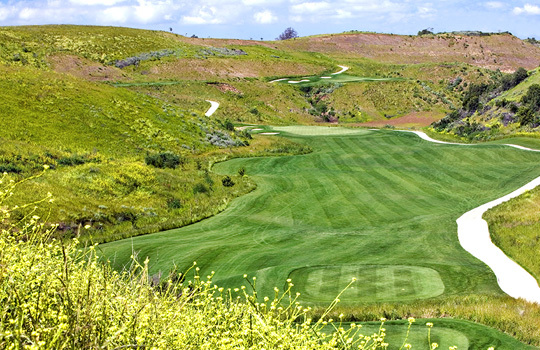 This short par 4 looks and sounds harmless, but it will give the best players a challenge. This hole plays straight uphill and will generally play a little into the wind. On your tee shot there is a bunker on the right side of the fairway that is placed strategically in the landing zone and any ball that goes right of the fairway will find the bunker or native grasses. 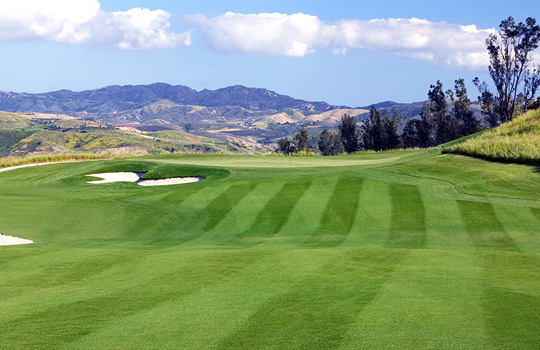 It is essential to favor the left side of the fairway and play the slope. Driver is not necessary. Your approach shot is to a very undulated and elevated green. The front of the green is very protected by bunkers, so short is no good. Take one club extra! 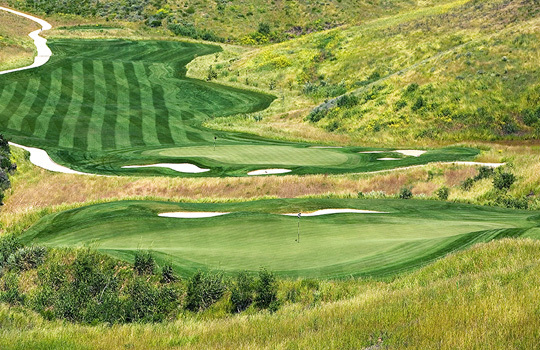 This relatively short par 3 will test your pinpoint accuracy. 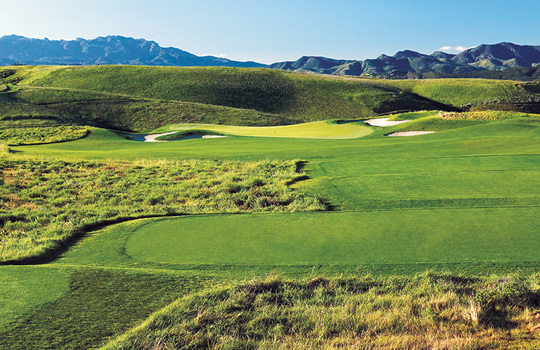 There is nowhere to miss this shot, because the green is surrounded by native grasses and bunkers. If you are lucky enough to hit the green your putting skills will be tested to the fullest. If your ball is not on the same level as the flag you will be facing a very difficult two putt. Par here is good!